K. Calvin Asrani is a litigation attorney with 16 years experience handling complex professional and commercial disputes on behalf of hospitals, physicians, professionals, insurance companies, property owners and large corporations. After receiving recognition as a Bright Futures Scholar, Florida Academic Scholar, and Target Scholar, he attended college at the University of Florida, where he received both his Bachelor of Science in Business Administration in 1999 and his law degree in 2002. His assistance in the representation of indigent families in the Alachua and Marion County areas during law school earned him recognition for his significant contributions to pro bono service. Mr. Asrani focuses his practice in the areas of premises liability and other general liability and tort defense, medical malpractice defense, physician regulatory defense, and insurance coverage litigation. He has defended hundreds of claims throughout South Florida over the course of his career and has achieved numerous noteworthy outcomes on behalf of his clients. 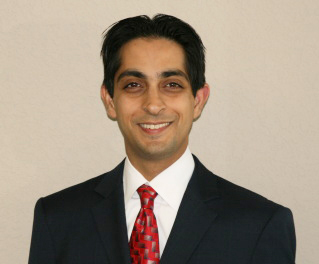 Mr. Asrani is licensed to practice law in Florida and is a member of The Florida Bar. He is also admitted in the U.S. District Court for the Southern District of Florida. Mr. Asrani resides in Palm Beach County with his wife, a local practicing physician, and their son with whom he enjoys the outdoor activities that South Florida has to offer.